Part of an attempt to light up smiles among our employees, whom we regard as family, is providing a good working environment, ensure their good health, and elevate standards on safety, occupational health, and environment. The Company primarily adheres to legal compliance, and takes this further by developing and adapting in practice related international standards, with the goal of ensuring the safety of our operators, customers, and those concerned in the activitie and operations of the Company—as there is no replacement or compensation commensurate to these unexpected losses. CP ALL Plc. and its Subsidiaries (“Company”) hence place its main aim at ensuring 0 incidents/year of accidents and critical vehicle-related accidents resulting to loss to life. The Company commits to continuously manage safety, occupational health, and good working environment, to be on par with international standards with equal treatment for all stakeholders, whether they be customers, contractors, sub-contractors, partners, or the community. 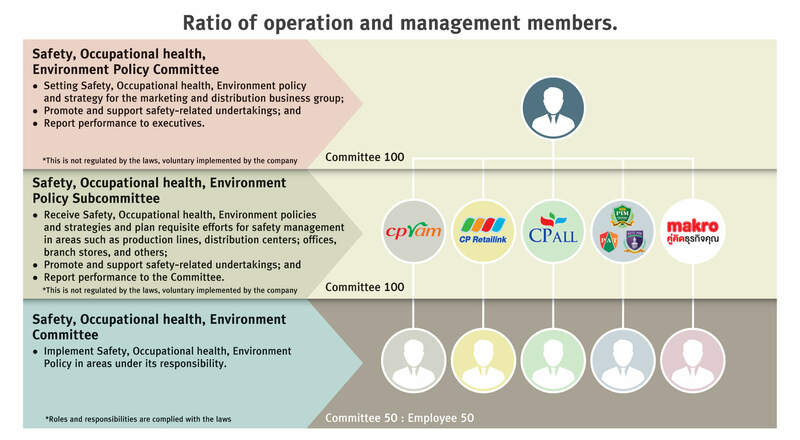 Being a large company with a wide array of businesses, our policy on and management of safety, occupational health, and good working environment were closely designed to fit different operational contexts—having appropriate indices for various activities and business contexts, specific risk assessments, and business-specific risk mitigation plans. This is in conjunction with the promotion of a safety culture and awareness for all concerned parties in order to achieve good safety, occupational health, and working environment outcomes. In 2017, part of our effort to continually and sustainably develop, the Company has lifted its safety management standards through the CP Safety Performance Audit Project. This program implements the Safety Health Environmental Standard (SHE Standard), expanding our commitment scope to cover environmental management by adapting and applying international standards in our approaches and practices to ensure continuous improvements. CP Safety Performance Audits are put in place to assess safety, occupational health, and environment standards Safety Standards are created a safety culture promoted among employees at all levels, with the support of the management, with the aim of 0 accident incidents. Defensive driving trainings are offered as part of a curriculum developing driving skills, coupled with a road safety driving test. 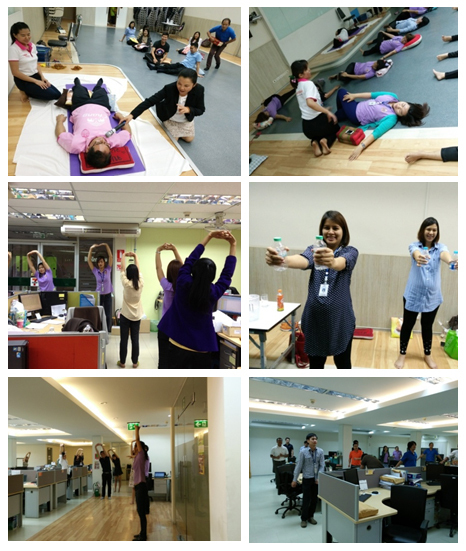 The Exercise for Office Staff project was created as part of employee benefits, offered to support employee’s health and well-being. Exercise activities are organized daily within office vicinities, offering a variety of options based on employee’s interests, such as Hatha-Yoga, Zumba, and Piloxing. Annual fire and evacuation drills are organized in all locations, including factories, distribution centers, office buildings, branch stores, educational institutions, in line with legal requirements. Drills are organized with internal instructors, as well as including external stakeholders such as nearby communities, educational institutions, and government agencies. 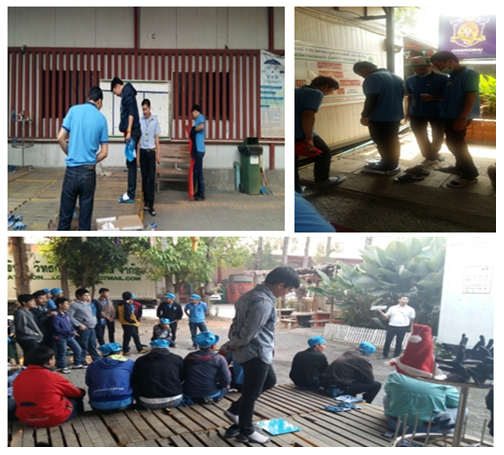 Basic safety orientation is given to all new employees, conducted by qualified internal instructors, as required by law. Safety promotion activities are conducted prior to long holidays to promote good driving practices among employees. Safety Personnel Award: Outstanding Manager in Safety at National Level (Marketing and Distribution Business) was awarded to Mr. Kaiwal Suwananthi, Safety Personnel Suervisor at the Chilled Distribution Center (CDC), Bang Bua Thong area, Nonthaburi, CP ALL Plc. National Safety, Occupational Health, and Environment Committee Award 2017 was awarded to the Lamphun Distribution Center, CP ALL Plc. 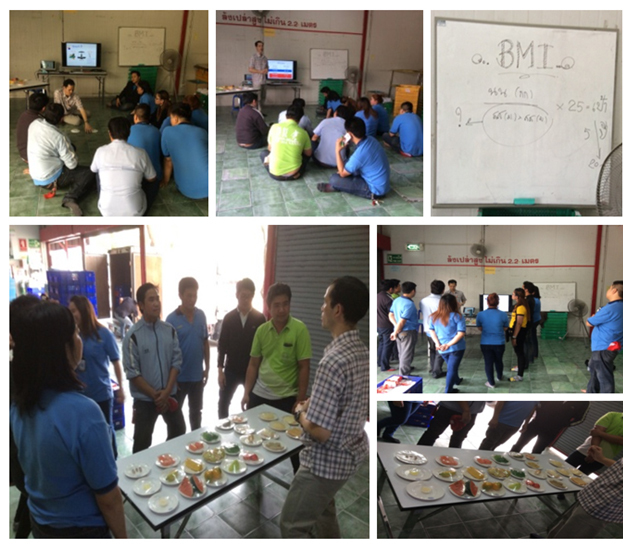 Thirty one Outstanding Model Business Operators Award in Safety, Occupational Health, and Environment were awarded, with the Chilled Distribution Center (CDC), Bang Bua Thong area, Nonthaburi, CP ALL Plc. having received the award for 12 consecutive years. Outstanding Health and Safety Award for Educational Institutions, awarded to 6 areas: The Panyapiwat Institute of Management (PIM) Udon thani, PIM Khon Kaen, PIM Nakhon Ratchasima, and PIM Lampang. 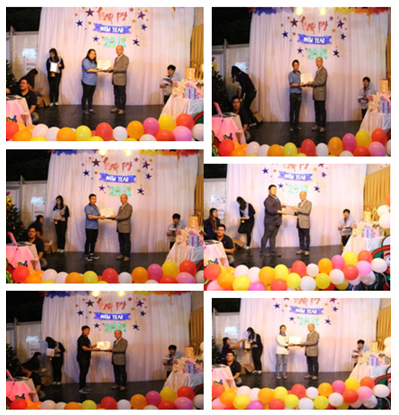 Emergency Team Competition Award was awarded to the Distribution Center in Suvanabhumi. The Company organizes training on stress management for employees, with courses for employees at different levels. 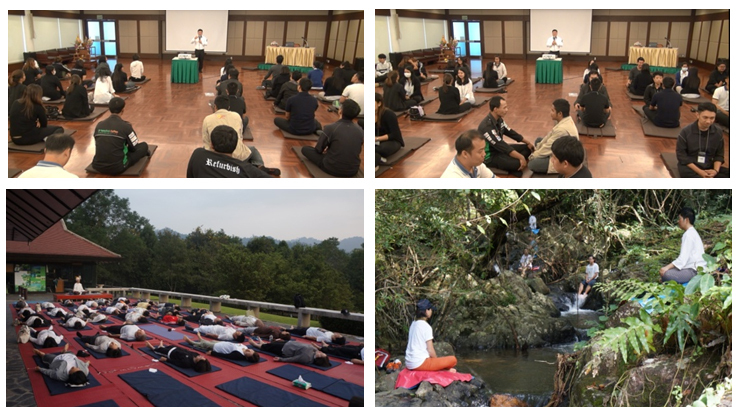 Fostering Consciousness, Concentration and Wisdom for Executives with Wisdom Exploration Executives at the department level and higher and Store Business Partners join in activities including sitting meditation, walking meditation, dharma yoga and learning about Buddha’s teachings. 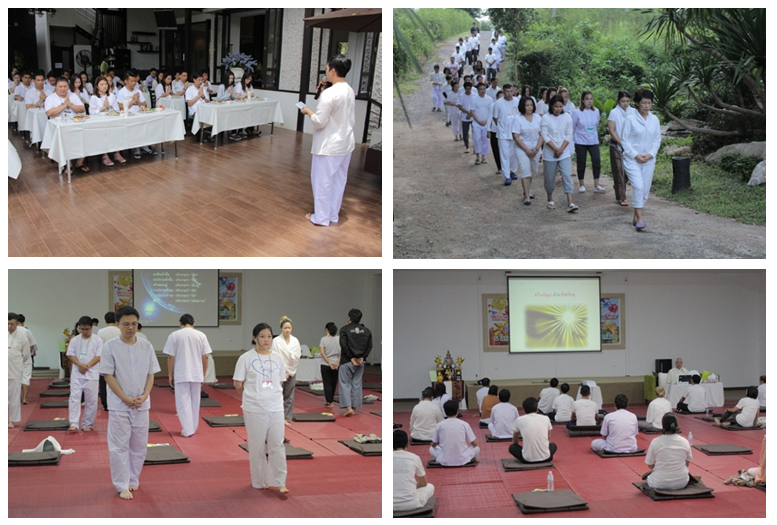 The aim is for participants to experience calmness, improve concentration in work, and apply the teachings in managing their team with happiness. As work nowadays requires speed, accuracy and effectiveness in attaining set goals, participants need to have consciousness to act as a guide while working, concentration, and understanding of emotions and influences, in order to perform their duties effectively with good mental health. Learning and practicing the use of consciousness is therefore very important for employees to be able to live happily and attain success in both personal life and work. It also promotes good mental health and living happily every day. In addition to the above activities. The company also provides employees with health tips, stress management via e-mail. In promoting health care, stress management of employees. Suitable posture according to ergonomics is essential in work. Work posture both outside and inside the workplace such as working at the computer or lifting objects that has poor ergonomics might cause aches and pain at specific body areas, muscular system diseases, trigger finger, or locking bones if the inappropriate posture is repeated daily. In addition, it might affect mental health causing boredom and stress which may lead to lower productivity and possible work-related accidents. Chronic health conditions and insufficient rest may also result in loss of life or company assets. Therefore, ergonomic-related problems need to be solved or prevented to avoid the abovementioned possibilities. In this connection, the Ergonomics Program has been initiated to solve the problem in a timely manner and bring about the highest productivity to employees and their departments, as well as to recommend methods for employees to change their work posture and stretch their muscles during the day, reducing the risk of muscle aches and pains and work-related diseases such as office syndrome. Heat inspection: Inspected 26 locations, 25 locations passed. The location that did not pass the inspection has made improvements to the ventilation system to be in line with legal standards. Lighting inspection: Inspected 26 locations, 24 locations passed. The locations that did not pass the inspection have cleaned and changed the light bulbs, installed additional light bulbs, and changed the work position to have sufficient light. 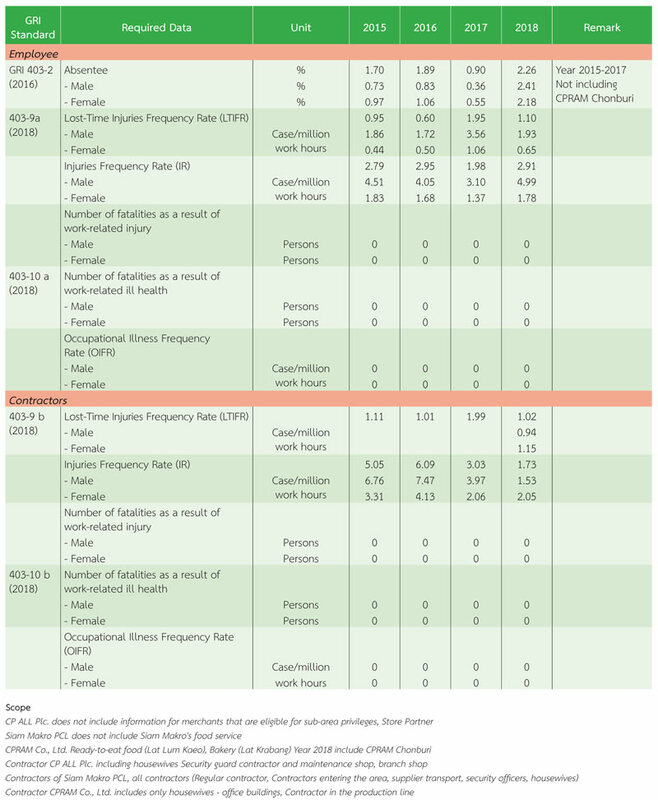 Noise inspection: Inspected 26 locations, 25 locations passed. The location that did not pass the inspection has joined the Hearing Conservation Program. Dust inspection: Inspected 26 locations, all locations passed. Waste water quality inspection: Inspected 26 locations, 25 locations passed. The location that did not pass the inspection has enlarged the treatment pond. 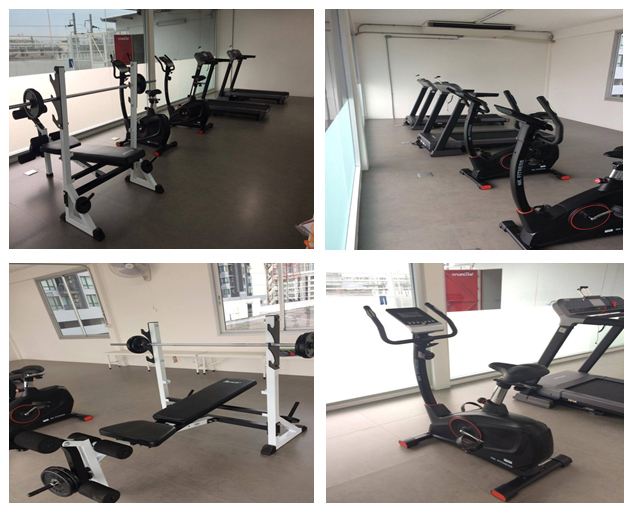 This program was initiated to provide convenience to the Company’s employees, enabling them to exercise every day, with emphasis on employees exercising together using standard and clean exercise equipments appropriate for all ages and genders so that employees can work effectively and be free from illness. The program also promotes good physical and mental health and interest and intent to exercise regularly among employees. Inactive lifestyle, lack of physical activity, family history of obesity, old age and smoking cause overweight, which has both short-term and long-term impacts. Short-term impacts include reduced activeness and fitness, worry about body figure and loss of pride in body figure. Long-term physical impacts include risk of various diseases such as cardiovascular disease, diabetes type 2, high blood pressure, gallstones, arthritis and high cholesterol. The 1000 Attendance (Zero Sick Leave) (1-Team, 0-Zero Accident, 0-Zero Sick leave, 0-Zero Absence) Policy focuses on no sick leave with measures to prevent sickness and recommendations on how to live a healthy life to be able to work normally and have good physical and mental health. In this regard, the Safety Department has established the FIT & FIRM TO SLIM Program to invite employees interested in health and exercise to voluntarily join the activity in order to reduce medical expenses, lower employee sick leave statistics and fulfill the policy. Promote exercise to achieve the target. 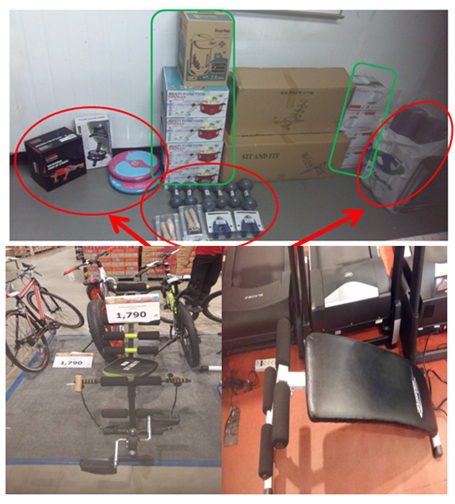 (Provide equipment for exercise after work and during working hours for all employees as requested by the participants. Provide equipment that is convenient and appropriate for the workplace such as dumbbells, jump ropes, sit-up equipment, SIT FIT equipment, push up bars, hand grips, yoga mats, and twist boards. Results of the program in 2017. A total of 21 employees who joined the program were successful in not being sick and not losing work days, equivalent to 44% of the total number of employees who joined the program. 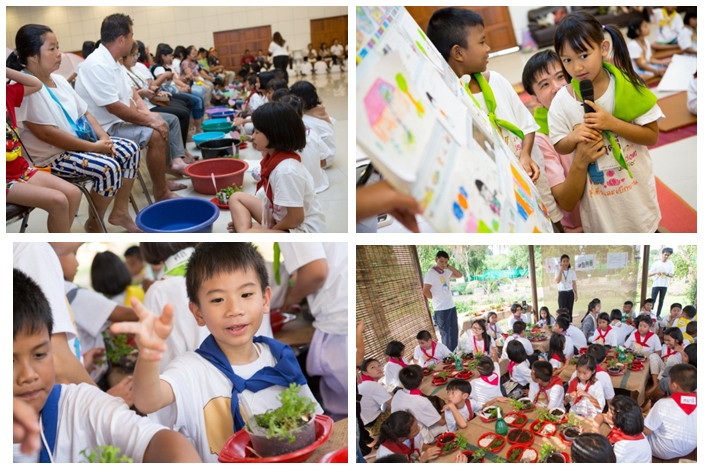 CPRAM Wisdom Junior is a dharma camp for juniors where children learn about dharma from various activities such as walking meditation, praying, morning temple duties, art activities, and positioning buttons with concentration into pictures. The children also paint bags with love and care which is given to seniors at Baan Bang Khae (Bang Khae Home for Older Persons). The Thai Music and Dance Program in the summer for the children of employees in the Marketing Department and the Charoen Pokphand Group allows children to learn about Thai culture in music and dance and helps employees with childcare, reducing their worries that there is no one to take care of their children during school break. 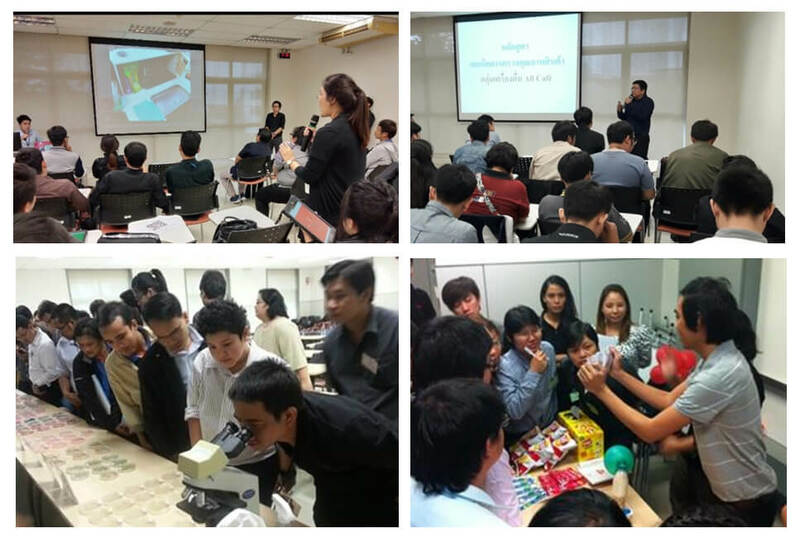 The program also provides opportunities for children to show their abilities at important events of the Charoen Pokphand Group and CP ALL Group. The Company is committed to support employees’ success in work and personal life through Work Life Balance. In this connection, the Company has established the Flexible Time Policy to provide an option for employees to choose to use appropriately in line with their duties and responsibilities and diverse way of life. The Company is committed to support employees’ success in work and personal life through Work Life Balance. To lower the burden in transportation costs and time of employees and to be the happy work team, the Company has tested “Work from Any Where” (part of the Flexible Work Arrangement Project) with departments that have readiness and willingness for their employees to try working from other locations, including their home and residence, not more than 1 day a week and this must not adversely affect their work. This trial will evaluate the readiness in various aspects including communication between heads and employees, work systems and equipment, and possible impacts before expanding the project throughout the organization. 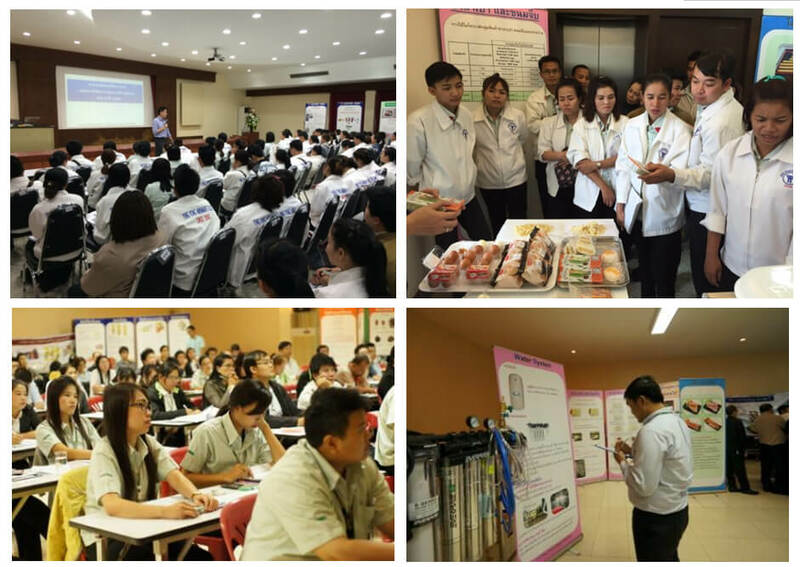 Company provides knowledge about microbiological contamination of food to internal office that protect and improve product safety for consumers.